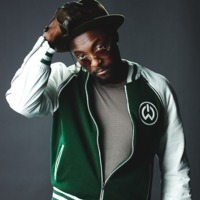 William James Adams Jr, (born March 15, 1975), better known by his stage name Will.i.am (will-i-am) and occasionally by his other stage name Zuper Blahq, is an American rapper, musician, songwriter, singer, actor, producer, and director of creative Innovation for Intel. Will.i.am came to prominence in the 1990s as a member of the hip hop group The Black Eyed Peas along with rappers apl.de.ap and Taboo and, later, singer Fergie. As a music producer, he has produced with other artists including Michael Jackson, Britney Spears, U2, Usher, Nicki Minaj, Cheryl Cole, and Daddy Yankee.